When someone signs up on your site, do you get an empty email that looks like this? 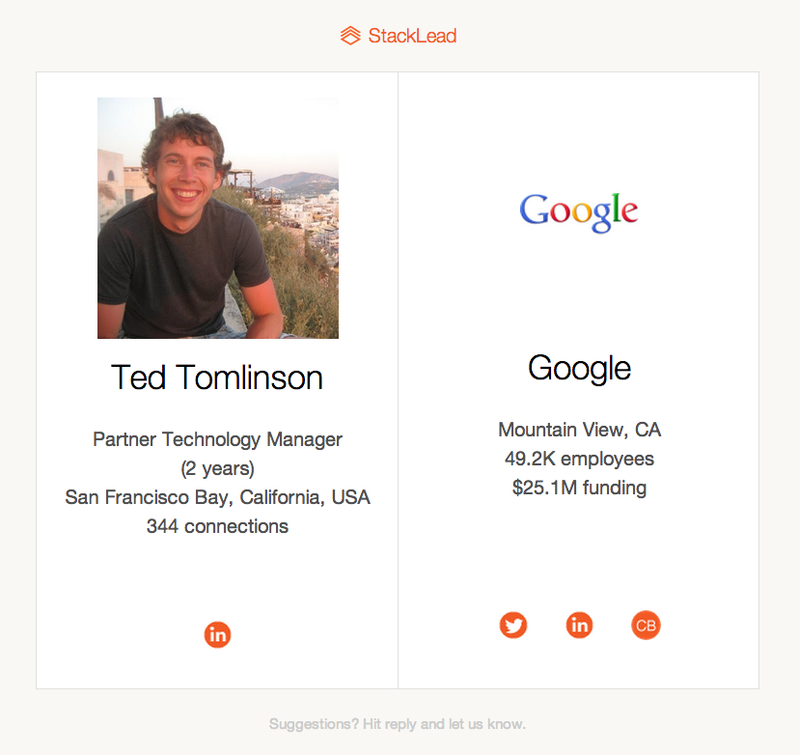 You can read about how to add StackLead.js to your site in the docs. You’ll need to register and grab your client key from the settings page.